Check out our specials on Chrysler, Jeep, Dodge, and RAM models. Thinking Pre-Owned? We have a huge selection of quality used vehicles. 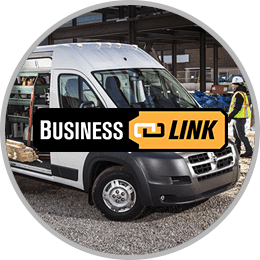 We also specialize in RAM commercial vehicles. Feel free to see for yourself! From oil changes to overhauls, no job is too big or too small for the Findlay Chrysler Jeep Dodge Ram service staff in Post Falls, Idaho. Voted Best Auto Dealer 2015, 2016, and 2017 in North Idaho, Findlay Chrysler Dodge Jeep Ram has the experience and knowledge to help you find your perfect car, truck, or SUV. Serving drivers in Post Falls, Coeur d’Alene, Hayden, Liberty Lake WA and Spokane WA, you can find that perfect vehicle, parts or services you seek. From obtaining an affordable loan on a Ram truck, to routine maintenance on your Jeep Wrangler, the team here at Findlay Chrysler Dodge Jeep Ram has Northern Idaho and Eastern Washington drivers covered! Thanks for voting Findlay Best Auto Dealer in North Idaho! The excitement often starts when you browse online for a new Chrysler, Dodge, Jeep or Ram vehicle. 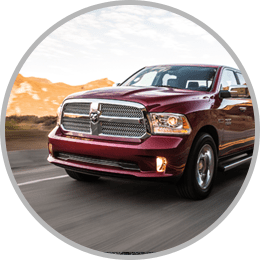 Local drivers from Coeur D’Alene to Spokane have a passion for sturdy, and reliable vehicles with features like 4WD and AWD so we carry plenty of Ram trucks and Jeep SUVs to meet that need. Click on any link to explore your options. Have you heard about the Findlay Post Falls Business Partner Program? This no-cost program helps businesses share exclusive pricing with their employees! 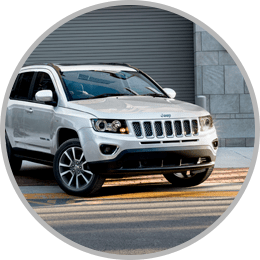 At Findlay you’ll find a variety of 2018 and 2019 Jeep Compass, Renegade, Wrangler, and Grand Cherokee plus new 2019 Jeep Cherokee. In addition to FWD or 4×4, options may also include: sunroofs, removable tops, hill descent control, trailer tow, and heated seats. Additionally, DSI accessories are available, like 4 Suspension Systems, 35 Pro Comp MT2 Tires, Custom Wheels, Custom Bumper, S/B 9500 Winch, S/B Nerf Steps, and more. Ram trucks are very capable with a variety of engines, transmissions, and features to choose from. The Ram 1500 is built to deliver on every job, the eco diesel option is very affordable to drive. For more hauling or towing power, we also have 2500, 3500, 4500, and 5500 with their own powertrain and trim options. Dodge has been a trusted brand for over 100 years. Dodge backs every vehicle with a 5-Year/60,000-Mile Powertrain Limited Warranty+. Regardless of whether you choose a Charger, Challenger, Journey, Durango, or Grand Caravan you are covered. The Dodge Challenger SRT Hellcat is now the most powerful muscle car ever built with 707 hp (Yes, it is covered, too). Looking for more Luxury and comfort? The Chrysler 300 offers spacious luxury. Need more space? The Chrysler Town & Country seats seven full-size adults with plenty of leg room. But the excitement doesn’t end there. 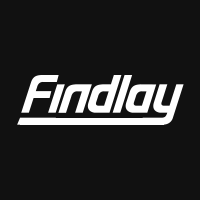 If your best option is to invest in a fully inspected pre-owned car or truck, Findlay has you covered there too. As part of the trusted Findlay Auto Group, we bring the buying power and selection of a larger group to our local dealership. So you’ll always find a diverse selection of used cars to choose from that you can drive home to Rathdrum, the Spokane Valley, or wherever you need to go next. The Findlay auto finance team will listen to your needs, and access our wide network of nearly 40 lenders to find the one that is right for you. Let us find a car loan or lease with competitive rates that work for you. All Credit Types Accepted! So, after you drive home in your new car, truck or SUV, let us help you take care of it with regular maintenance in our car service and auto repair center right here in Post Falls, ID. Sure, we offer oil changes, tire rotations and all the usual auto services you would expect. Beyond that, you’ll get the best customer service our team has to offer, every time. 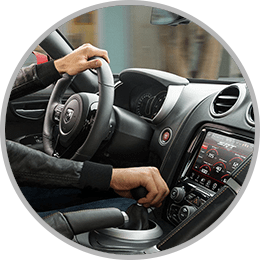 Whether you call in with a question about the best Mopar car parts, or to schedule a car service appointment, we strive to make it a great experience. We want to be your local community dealer for Post Falls, Coeur D’Alene, and our neighbors across the border. Come and see how we strive to do that at Findlay Chrysler Dodge Jeep Ram today. How can our car dealership in Post Falls meet your automotive needs? Tell us at 550 N Alberta St Post Falls, Idaho today. In 1961 Pete Findlay opened an Oldsmobile dealership in Las Vegas, Nevada. That brand has since been discontinued, but we have carried on. From just a single location the leadership of Pete’s son Cliff Findlay, we have grown over 30 locations in Nevada, Arizona, Utah, Idaho and Oregon. Through all the expansion we have maintained a family business feel. We believe if you take care of the customers, they’ll take care of you. Drawn to the beauty of Northern Idaho, Cliff, and his wife Donna, have taken up residence in the Coeur d’Alene Area.